Are you familiar with angel numbers at all? Angel numbers are considered to be a sign of the heavenly angels. They have a message that is significant to your future. You want help in securing your aspirations and goals? You already have it… all you need to do is ask for it. When you see repeating numbers, especially if they are in a sequence or specific arrangement, you should pay attention to them. They can appear most anywhere and sometimes, in the oddest of things or places. The potential to see varying recurring number sequences are endless. The key thing to do is to realize what they mean! Once you know the number meaning, you will have the right tools for success. You could even avoid a catastrophe with this new knowledge. Find the meaning to each number and the number as a whole. It will shed light on what road you should be taking. The mixed number sequence of 7s and 1s (7, 1, 71, number 17, 771, 717, 711, 177, 171, 117, 7771, 7711, 7177, 7171, 7717, 7117, 7111, 1777, 1771, 1717, 1177, 1171, 1117) is a sign of right decisions and good luck. Reoccurring numbers, especially the number 7, have a special meaning to them, along with a certain spiritual connection. The message here is to find your place among the stars because it’s time to move on. You’ve met certain expectations and it’s time to advance. 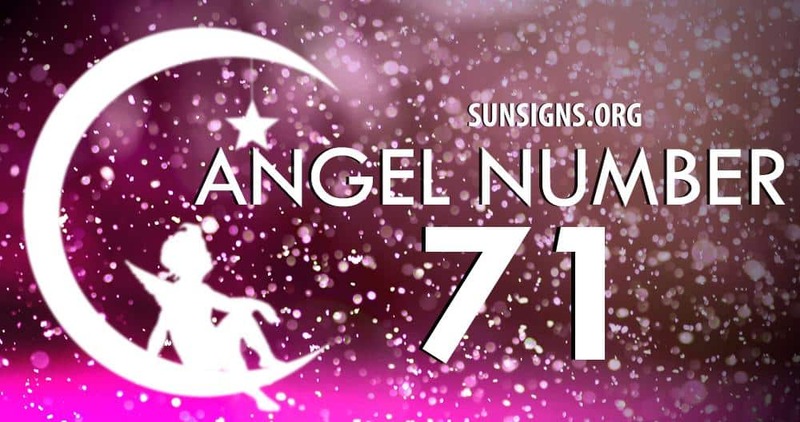 When you see the repeating angel number 7 (7, 77, 777, 7777) you should begin to have a thirst for more… more material goods as well as a spiritual enlightening. With the appearance of the number meaning 7, the possibility of psychic abilities is prevalent. Continue with your journey on a broader level now and use your inner wisdom and strength. Don’t forget your sense of humor as you may just have to laugh at life at times. Resonating with the number 1 are the energies of new starts. You’re creative and truly ambitious. This, accompanied with your motivation to do better, will allow you to see optimistic results without much effort at all. The angels say that with repeating number one (1, number 11, 111 and 1111) opportunities will come your way like a breath of fresh air. The only thing that could stop you now is you! Don’t let fear rob you of what’s rightfully yours. The angels are putting their heavenly stamp on it.